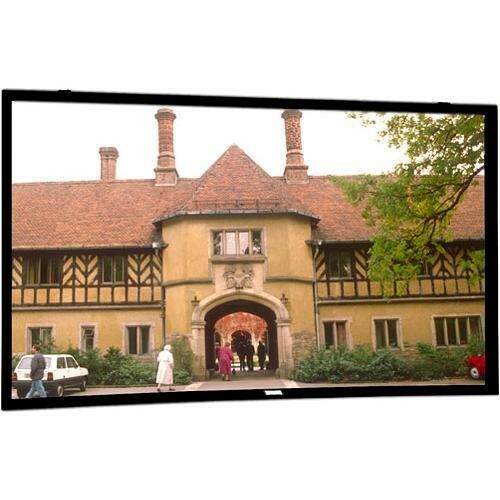 The 37876V Cinema Contour 108 x 192" Fixed Frame Screen from Da-Lite features a wider, more substantial frame as well as a projection surface designed for viewing 4K and Ultra HD content so you can maximize the capabilities of your projector. The larger standard black frame gives the eye a point of reference and enhances contrast for film purists and aficionados. Box Dimensions (LxWxH) 153.0 x 12.0 x 10.0"